Here’s another “Facebook Focus Group” exchange I lifted off Facebook, where members of the gay community here in Boystown got into a political discussion on someone’s “wall”. The originator of this exchange tried spouting the same tired old cliches against conservatives the Left always trots out — including referring to the majority of Americans as “teabaggers”, as directed by Anderson Cooper of CNN — but surprisingly other gay men chided him for this, refudiating his DNC-approved talking points. It’s fascinating to see conservatism alive and well in the hearts of many gay people, even though the Left still has a monopoly here in Boystown because of decades of well-orchestrated propaganda that makes gay men in particular attack the conservative side of the aisle for being “evil” on social issues, ignoring the common beliefs these gay guys might have regarding fiscal responsibility. When the gay community starts noticing and caring that Democrats have nearly spent this country into oblivion by way of bloated entitlement programs, the Democrat party has a real problem on its hands. The only thing preventing the gay split from the Left, in fact, is the Cocktail Party GOP establishment’s profound stupidity in continuing to allow certain social issues to be used as wedges to keep gays away. If the Republican Party purely branded itself as the fiscally conservative party and conducted itself strongly this way on all matters — whether there is a stunt, manufactured crisis conjured up by the White House or not — there would be a lot of gays who’d stop listening to the brainwashing and would start voting in their own economic best interests. Just read the exchange below and see how much potential there is to bring naturally conservative gay guys over to the Republican side of the ballot, if only the Cocktail Party GOP establishment was smart enough to adjust the Republican Party’s branding. Recently, I discovered Facebook is the single most valuable tool for mining insights into the thinking patterns (an oxymoron extraordinaire in this case) of the Left. I monitor the postings of people here in Boystown, looking for their political conversations, to see what the meme is this week in terms of justifying the Obama presidency…or rationalizing how “The One”, as Oprah shilled him, and the false messiah, as the lamestream media built him up to be, has failed so spectacularly in delivering all that promised hopeychange unto Americans. In the lastest exchange I came across, someone in the middle ventured into a conspiracy theory that Republicans are deliberately trying to make Obama look bad so that a GOP candidate will win the 2012 election. Sister mister, ain’t nobody out there making Obama look bad, okrrrrr. Aunt Fancy’s doing a great job of that on his own. Long-time Hillbuzz readers know that we are fighting a war against three enemies: Leftists, The Lamestream Media and Islamofascism. And by “we,” we mean Americans who love our country, work for a living, save for retirement, love the American Dream, respect the rule of law, and honor the Constitution’s limits on government power. In most cases, The Lamestream Media and The Left are one and the same–98% of Washington Bureau reporters vote for Democrats. And to save our country, we must never forget that virtually all political reporting in America is agenda-driven. Most members of the Washington Press Corp(se) sincerely believe (or strongly suspect) that all Conservatives are reactionary, raaaaacist, selfish, ignorant, buck-toothed, misogynistic, gullible, Pinto-up-on-cinderblocks, Bible-thumping bigots. You must never, ever forget this when you’re reading news stories about Sarah Palin, Herman Cain, Ron Paul, Mittens Romney or T-Paw, or any other potential GOP or Tea Party candidate. Case in point. This past week, the Gallup organization conducted a telephone poll of 971 randomly surveyed Republicans and Republican-leaning independents, aged 18 and older, living in all 50 U.S. states and the District of Columbia. The results of this poll are available here. In other words, 85% of Republicans and Republican-leaning Independents care more about everything and anything else than they care about social issues. To put it another way, social issues are the #1 concern of only 15% of the likely Republican voters surveyed. The poll also asked to rank GOP candidate preference by issue. So among that 15% social-issues-sliver of Americans, 23% favor Sarah Palin, versus the 18% who favor Mittens Romney. I’m not a math wizard, but I think that means that less than 4% of Republicans favor Sarah Palin as their #1 choice for President thanks to her positions on social issues. But you’ll note, that is not the headline of the article at Gallup.com (“Romney’s Appeal Spans the Issues, Palin Leads on Social Values.”) Nor is it the headline of most news stories generated by this poll. I write headlines for a living. And here are just a few totally accurate headlines I could write based on the results of this Gallup poll. Read these alternate headlines (all based on the exact same data) and pay attention to how they effect you emotionally. Then ask yourself why the Lamestream Media wouldn’t go with these headlines or write these stories. And yet the media (mark my words) is going to play up Mittens Romney’s “broad-based GOP support” and pigeonhole Sarah Palin as the choice of the rabid religious right. They likely won’t mention Herman Cain at all (except to call him an Uncle Tom) or Ron Paul (except to call him a cranky old man). Because the media is 100% in the tank for Barack Hussein Obama, and will do anything to make sure he is re-elected. Anything. And a proven winner of a strategy is to divide and conquer. In order to squeak out another term, the media and the Obama Regime (redundancy alert!) must create divisions and infighting among voters who are concerned about the size of government, the economy and Islamofacism, because generic GOP candidates always win against generic Democrat candidates in polls on these issues. And social issues are the executioner’s axe they will use to divide and conquer. The media works hard every day to convince GOP candidates that they have to focus on social issues like gay marriage and abortion to win. The 2010 midterm Democrat electoral bloodbath proved that this is a Big Lie. The winning platform was the Tea Party platform of smaller, Constitutional government, low taxes and massive spending cuts. In the 2012 election, the libertarian vote will be the swing vote. Not the evangelicals or social issue Republicans. Keep that in mind as you read stories and watch news coverage of GOP candidates. 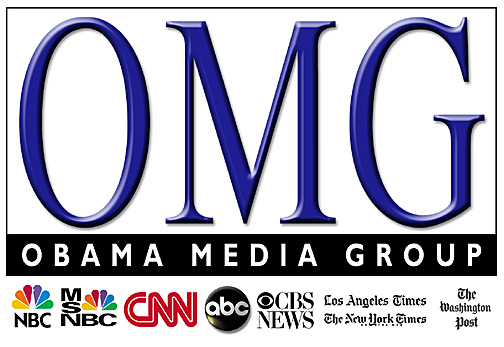 The Government-Controlled Media is desperate to divide the Obama-defeating voting block that is made up of the GOP, libertarians, Independents, and the Tea Party. You aid and abet the lamestream media in this quest when you consume news headlines and poll results without thinking or analyzing the motives of the news outlets that are producing them, and then forward these news stories, Eeyore-like, to your friends and family. Never forget it! If you are a member of The American Resistance, the people writing most of the stories about GOP candidates believe you are a reactionary, raaaaacist, selfish, ignorant, buck-toothed, misogynistic, gullible, Pinto-up-on-cinderblocks, Bible-thumping bigot. So why on God’s green Earth would you let them pick your candidate for you? And the latest to get the “evil eye” from the White House is New Jersey governor Chris Christy, according to the New York Post. Despite New Jersey Gov. Chris Christie’s repeated pronouncements that he will not seek the GOP presidential nomination, Obama operatives are compiling a dossier of what they call “opposition research” — material that could be used to damage Christie if he changes his mind, The Post has learned. The Obama campaign is trying to keep its efforts from public view, concerned they would only elevate Christie’s already impressive standing within the Republican Party, sources said. You can bet that the Obama re-election team’s activities are totally poll-driven. They may be evil, but they’re (unfortunately) not stupid. If the GOP were “winning-elections”-driven instead of “hobnobbing-at-the-best-cocktail-parties”-driven, they would have noticed that the seminar callers and opposition research isn’t focused on “it’s his turn,” cucumber-and-mayo candidates like Mittens Romney or T-Paw. Why? Because the Obama team knows they’re beatable. No, the concern trolls, seminar callers and opposition research team (i.e. Mainstream Media) are ramping up attacks against declared candidates Herman Cain and Ron Paul (actually, Ron is just as frequently attacked by Establishment Republicans in violation of the Reagan Doctrine). And preemptive strikes are aimed at potential candidates Sarah Palin (okay, they’ve never stopped, not for one day since 2008) and Chris Christie. Team Obama is terrified that a real statesman (or stateswoman) who puts America first and a political career second will be nominated by the GOP. They were terrified of Trump, because Trump tells it like it is, with no concern whatsoever about raising money or getting re-elected. They are terrified of Herman Cain for the same reason. Herman Cain is retired, has a great family, and doesn’t care about a second term as President. He won’t start running his re-election campaign in February, 2013. Instead, he’ll start fixing the country and undoing the damage inflicted by our non-Marxist, non-Muslim post-racial President. The Leftists and Mainstream Media (redundancy alert) are absolutely determined to pick John McCain II on our behalf. It is up to Conservatives, Libertarians, Independents, Reagan Democrats, and Tea Party Republicans to take ownership of the primary process, do our own vetting, ignore the Mainstream Media, and nominate a no-B.S. leader who loves American more than he or she loves the idea of a second term and attending the best cocktail parties. Concern Trolls vs Eeyores: Can You Spot the Difference? Concern trolls WANT you to give up; Eeyores don’t want you to give up and don’t want the opponent to win, but don’t realize they are sabotaging all efforts you’re making. Thank you for the invite to post here boyz. I am a Romney supporter, and after being blasted…actually savaged here by many of you Palin supporters, I have opted not to have any further discussions on this site. While I understand that Palin is your number one choice for the nominations, the continuing barrage of insults to any other potential Presidential candidates (“soggy cucumber sandwiches”) has become not only tiresome, but offensive. Even worse, the insults I and others have had to endure from Palin supporters has only fed the reputations that Palin supporters can be the nastiest political group of people in cyberspace. I am not trying to be intentionally mean or condescending here, only honest about my feeling about Hillbuzz for the past year or so. Since I found this site before the 2008 elections, I have enjoyed reading the various commentaries. I even wrote to Rush Limbaugh urging him to check out his site. I was even delighted to hear him mention it only a few days later on his radio show. Since Obama was elected, I have been a little perplexed by the nonstop Palin worship going on here, especially with how I was viciously attacked for not supporting her to run for President out of concern that independent voters would not back her, handing four more years to Obama. The attacks were nonstop and relentless. I could not have a rational discuss on this site anymore. That’s it why I stopped posting. If you have noticed that traffic on this site has dwindled, perhaps you should take note that the Palin supporters here need to tone down their rhetoric and be respectful to those who don’t support a Palin run for the Presidency. This site has a lot of potential and should be more welcoming to those who support different candidates. Perhaps then again, this is exactly what is article is all about. So…what’s your verdict? Was this comment written by a Concern Troll, Eeyore, or Innocent Bystander? If you’re new to Hillbuzz, “concern trolling” may be a new one on you. Please refer back to one of Kevin DuJan’s brilliant Troll Dissection 101 posts to learn how to pick these trolls apart. The “Concern Troll” is typically a Democrat National Committee, ACORN, SEIU or Soros-funded operative who is paid to sit in his mom’s basement in his Incredible Hulk Underoos and post fraudulent comments on blogs like Hillbuzz. The ultimate goal of a Concern Troll is to get Barry Sotero Barak Hussein Obama re-elected and/or destroy the American way of life. Concern Trolls accomplish this by impersonating Conservative, GOP, Libertarian and Tea Party voters who love (Sarah Palin/Herman Cain/a Balanced Budget Amendment/killing Obamacare/saving America) but are (concerned/worried/upset/unsure/doubtful/afraid) that (she’s not serious/it’s too hard/the media won’t like us/I’ll lose my Facebook friends/he’s unelectable/we can’t win). Most real Concern Trolls are bought and paid for by the Left (often using money that was extorted from rank-and-file union members in the form of dues that are then donated to outfits like the DNC.) It is literally their job to conduct PsyOps campaigns against you, the typical Hillbuzz reader who loves America. Concern trolls are dangerous because they’re effective. But like cockroaches, they scatter when exposed to sunlight…so be sure you know how to recognize them and stamp them out wherever you encounter them.